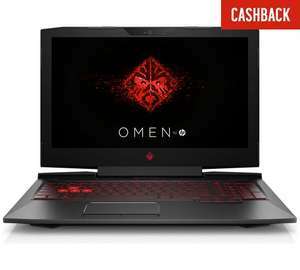 Can someone tell me what the difference is between the above laptop and this one.It is £100 cheaper but I am not sure how big a difference there is between them and if they are worth the money. Any advice would be appreciated. Shift – boost performance under controlled noise & temperature the exclusive MSI shift technology pushes system to the extreme while minimizing noise and temperature. Switch between three profiles sport, comfort, and green to reach balance between system performance and comfortable user experience. Steelseries keyboards a keyboard all gamers desire, for every hardware detail of this keyboard is calculated and especially designed for professional gamers' needs. Better responsive and tactile feedback, optimum wasd zone and support of multi-key inputs are all for gamers to gain full command over gaming missions. Intel Core i5 i5-6300hq quad core processor. 1TB and 128GB HDD and SSD storage. NVIDIA GTX 9 seriesGTX 960m graphics card with 2GB RAM. I've checked and apparently they do send you the rest of the laptop too. The HP has a newer processor that runs at a higher speed and a newer and more powerful graphics card. Given the choice, the HP is a better buy. That's the old model on the eBay shop (prone to overheating). Kinda hard to put it all together in a laptop! not rocket science. these things are put together bypeople on slave wages and no real qualifications..
not rocket science. these things are put together bypeople on slave wages …not rocket science. these things are put together bypeople on slave wages and no real qualifications.. I would love to be able to build my own laptop but I am a 65 year old women who knows a little about computers but not enough to build my own. I thought there might be someone on here that could tell me if they were any good or a waste of money. I want to be able to play some games like Fallout or The Witcher also to do some editing of my photos. Unless you specifically need a laptop for gaming, then a desktop is cheaper & faster. I would love to be able to build my own laptop but I am a 65 year old …I would love to be able to build my own laptop but I am a 65 year old women who knows a little about computers but not enough to build my own. I thought there might be someone on here that could tell me if they were any good or a waste of money. I want to be able to play some games like Fallout or The Witcher also to do some editing of my photos. I have a supermarket trolley and take my desktop everywhere I go! can't beat it. This comment gets posted on EVERY laptop/PC post. It's cheaper to build a house yourself but if you don't have the skills or knowledge then it's not going to happen. Hi I'm looking for a laptop in the same range as you. I've been researching for a week now, I've found that prices drop down in mid December by quite an amount, also a new range of cpu processors (coffee Lake) are coming out right now so lots of laptops will be outdated and hopefully sold cheaply. As the new processors are the biggest performance jump in a decade. My conclusion is that I'm going to roughly decide what I want then watch the market and buy in abut 6 weeks time. In direct response I don't think this is a deal so it gets a brrrrr cold. I have a supermarket trolley and take my desktop everywhere I go! can't …I have a supermarket trolley and take my desktop everywhere I go! can't beat it. Hi I'm looking for a laptop in the same range as you. I've been …Hi I'm looking for a laptop in the same range as you. I've been researching for a week now, I've found that prices drop down in mid December by quite an amount, also a new range of cpu processors (coffee Lake) are coming out right now so lots of laptops will be outdated and hopefully sold cheaply. As the new processors are the biggest performance jump in a decade.My conclusion is that I'm going to roughly decide what I want then watch the market and buy in abut 6 weeks time.Hooe this helps. In direct response I don't think this is a deal so it gets a brrrrr cold. Thank you, I appreciate your sound advice. I will try to hold off but my laptop has died a death and I am lost without one. Got this laptop and can confirm the build quality is good. Price seems a little steep though especially with 8th gen processors out.